Ben Lerner is one of our subtlest, most erudite and original writers so it was with great anticipation I opened his latest publication: a short essay in the form of a simple yet beautifully bound paperback published by Fitzcarraldo, whose impeccable taste, evident in both who they choose to publish as well as how they present their offerings, seems to be unrivalled (they recently produced the equally brilliant Pond by Claire-Louise Bennett, bound in a similarly chic jacket). Lerner’s language may alienate some readers: we plunge straight into iambic pentameter, parallelisms and conjunctive adverbs. Words such as: ‘innominate’, ‘lubricity’, ‘fungible’, phrases like ‘vector of implication’, and sentences such as: ‘The virgule is the irreducible mark of poetic virtuality’ are to be found on nearly every other page. While some elements of this essay smack just a bit of affectation and faux literariness (the overly-aestheticized large print, for instance, and the italicised topic headings in the margin that summarize key points in the text: ‘unfolding of the word’, ‘E pluribus unum’, ‘I, too’) and may grate a little, on the whole the essay is so accomplished that I am sure Ben Lerner will garner many more fans than detractors. He begins by tracing poetry’s history, from the first ‘poet’ Caedmon, through Plato’s Republic and Sydney’s Defense to the present day, analysing society’s conscious and subconscious assumptions about poets and poetry along the way; Lerner, being a published poet as well as novelist, has had his fair share of exposure to these, which involve, he says, ‘both embarrassment and accusation’. His central thesis is that poetry is ‘an art…hated from without and within’, and such duality is the hinge upon which he levers much of his discussion, unearthing contradiction and dichotomy wherever he turns his gaze. Reading ‘bad’ poetry, he says, simultaneously alerts us to what good poetry might do and be. ‘[T]he closest we can come to hearing the ‘planet-like music of poetry’ is to hear the ugliest earthly music’. Awful and dazzling poets, by virtue of their awfulness and brilliance respectively, both show us heavenly poetry, though it is easier to agree on a very bad example of something than a very good one. The central impulse, even within poetry itself, Lerner suggests, is to stop writing in favour of silence and linguistic (if not literal) death (he cites Rimbaud and Oppen as cases in point). The avant-garde, he argues, for all their posited hatred of conventional poetry and attempts to explode the form, still create poems; and poems remain poems however transgressive and subversive they are. And this almost magnetic attraction towards void, empty space and erasure, towards nothing rather than something, or if not nothing then something one remove from itself; something encased and re-contextualised, possessing, as Keats would say, ‘negative capability’, Lerner deeply relates to: ‘I tend to find lines of poetry beautiful only when I encountered them quoted in prose…’ he writes, ‘where the line breaks were replaced by slashes, so that what was communicated was less a particular poem than the echo of poetic possibility.’ He even sees contradiction in the disappointment in poetry’s lack of political power in the present, which unites, he says, the futurist and the nostalgist. 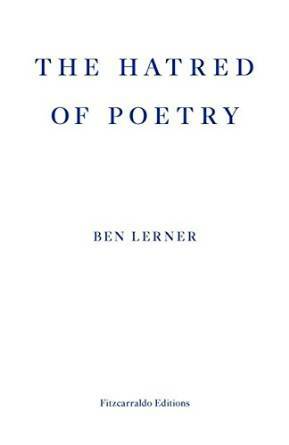 Lerner’s fascination with the poetic impulse towards both creation and destruction yields particularly rich results when he devotes himself to what he does best: detailed critique and appreciation of individual lines of poetry. His analysis of Emily Dickinson’s ‘I dwell in Possibility’ is itself a thing of beauty, his identification of Shelley’s belief in the usefulness of poetry with its very uselessness, and his unpicking of the paradox at the heart of Whitman‘s verse (who ‘sing[s] difference but cannot differentiate himself without compromising his labour – which is part [in turn] of why his labour has to be a kind of leisure’) are masterly. His mini essay on the virgule is even more dazzling, if possible, for being as diminutive as the mark it discusses, than it would be if it had been drawn out. Despite his brilliance, however, Lerner is also likably human, freely admitting he has never been put into a trance by Keats’ odes and doubting any critic has either, while his diamantine dissection of William McGonagall’s awful ‘The Tay Bridge Disaster’ affords the reader a giggle or two. He is also humble, continually referencing his erstwhile and ‘brilliant’ teacher Alan Grossman, writing: ‘I come to realise with greater and greater clarity how central Grossman’s thinking is for me’. What we are left with after this exploration is what Lerner describes as the common tendency to ‘virtualize’ poetry – evident in everyone from Keats, to Whitman, to Dickinson – a sort of universal recognition that poetry cannot and never will be enough, so must be negated even as it is created; and thus, possibly, we may approach if not the Ideal itself then at least knowledge of it. 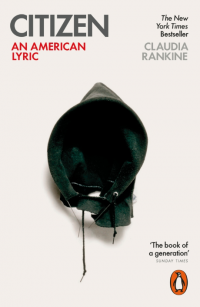 Even Claudia Rankine, Lerner writes, deploys the lyric (two collections of her poetry have as their subtitle: ‘An American Lyric’) subversively in order to highlight the ‘felt unavailability of traditional lyric categories’, in which, once more, ‘‘Poetry’ becomes a word for that possibility whose absence we sense in these poems’.